Pink and yellow hues fill the sky at sunset over Lobster Cove Lighthouse in Gros Morne National Park in Newfoundland, Canada. Standing along the shoreline of Rocky Harbour in Gros Morne National Park in Newfoundland, Canada, you can watch the sky change into fascinating colours during the sunset. 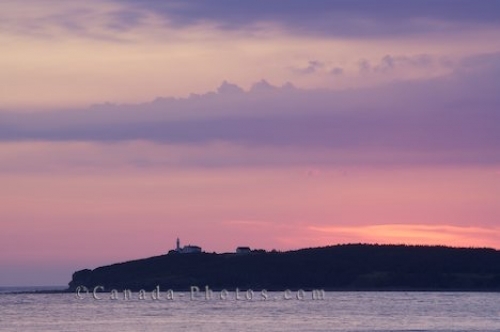 A yellow glow remains over the hill where Lobster Cove Lighthouse stands with the rest of the sky gleaming in pastel colours. Picture of the sunset adorning the sky over Lobster Cove Lighthouse in Gros Morne National Park in Newfoundland, Canada.